PUBG Corp has announced it will permanently ban over 100,000 cheaters in “a single wave” after a gameplay data review. The data review, and bans, are an example of the additional measures PUBG Corp are taking to tackle PlayerUnknown’s Battlegrounds cheaters. After some PUBG tips? Check out our complete guide to Battlegrounds. 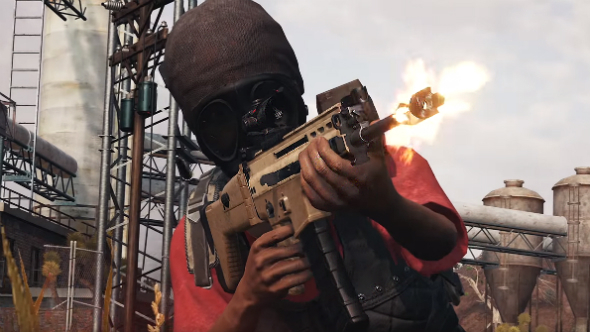 When it comes to cheaters, the development team behind PlayerUnknown’s Battlegrounds have a zero tolerance policy and it looks like they are just getting started with their swift acts of justice. “We recently discovered a new pattern of cheats in action,” wrote the PUBG Development and Community Team in a Steam Community post. “This week, we performed a thorough gameplay data review of 10 million players and completed analysis of tens of millions of data logs. Through this exercise, we were able to identify over 100,000 instances of the new pattern related to use of cheat and now we have confirmed that it was clearly an attempt of compromising our game. These players will be permanently banned in a single wave. This is an example of additional measures we will be taking on top of the basic detection systems in place. Back in December, PlayerUnknown’s Battlegrounds’ security tech, BattleEye, announced over 1.5 million cheaters had been banned from the game since its Early Access release in March 2017. In the post, PUBG Corp also acknowledged an issue with the game’s deathcam, replay and observing systems. When watching the gameplay video of another player, it appears as though as have no recoil and are therefore cheating. However, “it is caused by a bug in the systems”which has resulted in many players to report ‘cheaters’ who were not in fact cheaters. In addition, PUBG Corp announced they plan to rebalance the blue zone, making it slower, but deadlier, in the latest update. These changes are currently live on the test server.